A fresh bowl of creamy and hot pasta can satiate your hunger after a hard day’s work. Though a box of pasta from the store tastes fine, nothing can beat the freshness of homemade pasta. In addition, homemade pastas are free of preservatives and you also have the option of customizing the ingredients. With the availability of pasta makers, preparing pasta is not cumbersome. However, deciding which type of pasta maker you need to buy can be a difficult task. 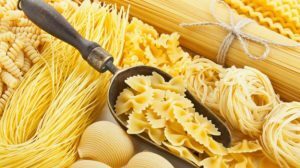 The buying guide discusses in detail the points to consider when buying a noodle and pasta maker. Before making the final decision, you need to consider whether you need a pasta roller or maker. Many people are not aware of the difference between the two and at times end up buying the wrong product. However, there is a lot of different between the two machines. Pasta rollers help in rolling and cutting the pasta dough into your desired shape. Pasta rollers are manually operated and needs a lot of work. The appliance has a handle which is used to roll the pasta through the machine. The cutting tool cuts the pasta in the desired shape. The machines can only be used for making fettuccine and spaghetti. Pasta makers make it easy for you to make the pasta without any manual intervention. All you need to do is put all the ingredients into the machine and the pasta will be ready within minutes. Electric pastas also make it possible to prepare a wide variety of pastas in different shapes. So, whether you want to prepare macaroni or farfalle, the pasta maker is a handy tool. The cleaning process of the noodle and pasta maker is also quite easy. An important factor that many people consider is the cost of the noodle and pasta maker. Pasta roller is comparatively affordable than pasta maker. However, pasta roller needs a lot of efforts as you can only process the dough into different shapes. Pasta makers, however, help with everything, staring from making the dough to cutting the pasta in different shapes. As a result, spending on a pasta maker is worth the investment. 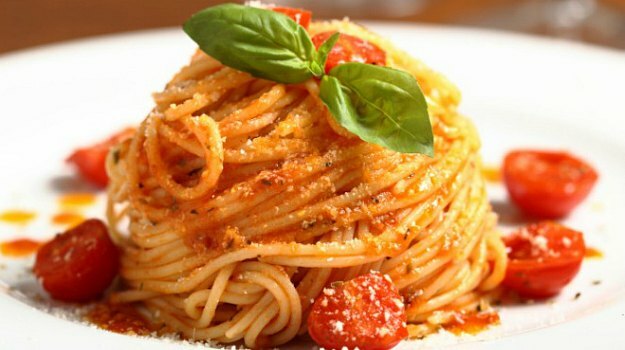 Before buying a pasta maker, consider the different types of pasta you plan to make. Pasta maker help you make different shapes of pasta depending on your preference. However, to make your choice of pasta you also need to check the attachments available with the product. Before making the final decision, check whether the pasta maker has adequate attachments. Apart from the attachments, you also need to check the shaping dies available with the product. 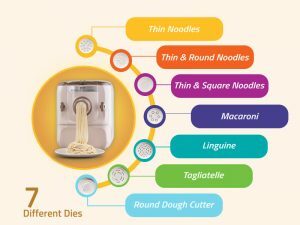 Check the different shaping dies available with the noodle and pasta maker to know the types of pasta you can make. Kent Noodle and Pasta Maker, for instance, comes with 7 different shaping dies. You can not only prepare noodles and pasta but also momos and gujiyas. One of the important factors that you need to consider is the ease of use. The main reason for buying a noodle and pasta maker is to make it easy to make noodles and pasta. When buying a pasta maker, make sure that you check the different modes that are available. Always opt for a pasta maker that has an auto mode as this will make it easy for you to prepare the noodle or pasta with ease. Another important factor to consider is the body material of the noodle and pasta maker. You can find metal and plastic pasta makers. 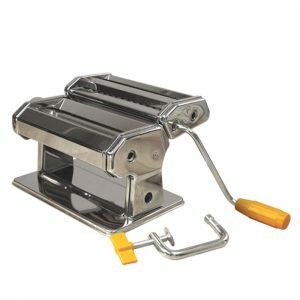 Metal pasta makers, though sturdy, need a lot of maintenance. Metal pasta makers may also rust easily which makes the product useless. A pasta maker made of ABS plastic is a better option as you don’t need to worry about rust or cleaning the machine. Making pasta in a pasta roller is not only difficult but also slow irrespective of the brand that you choose. One of the main USPs of a pasta maker is the speed at which the pasta is made. When buying a pasta maker, check the speed within which the pasta maker prepares the pasta. 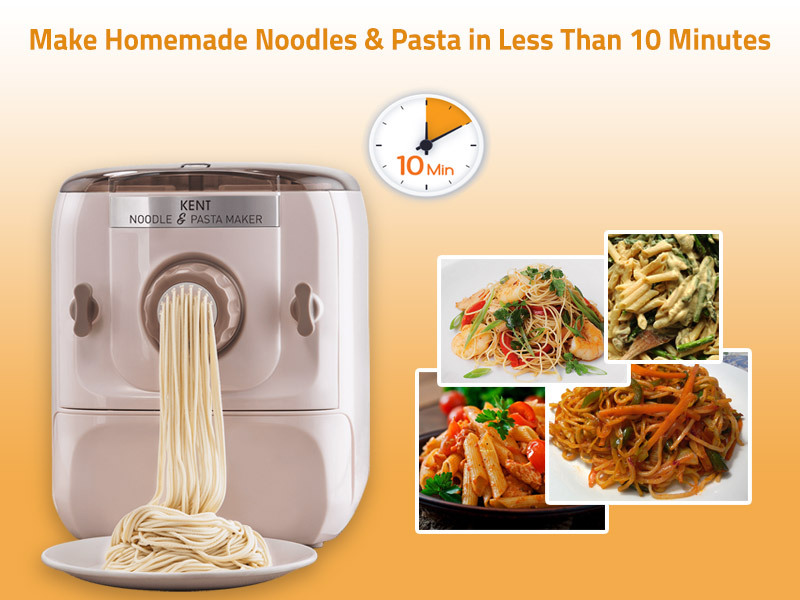 Kent Noodle and Pasta Maker, for instance, makes pasta within 10 minutes. Another important factor to consider when looking for a pasta maker is its cleaning process. The dough of pasta may get into various corners, cleaning which can be difficult. When buying a pasta maker, ensure that the cleaning process is easy. 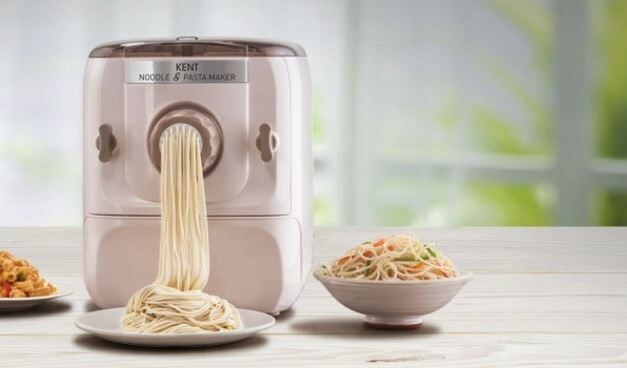 KENT Noodle and Pasta Maker, for instance, comes with a cleaning brush which makes it easy to clean the machine without any hassles. When buying a pasta maker, ensure that you check the durability of the machine. The best way to ensure that durability is to check the reviews about the brand. Opt for a renowned brand as you can be assured about the quality and the after sales services. A leader in the healthcare industry, KENT provides top quality products that helps you eat healthy. 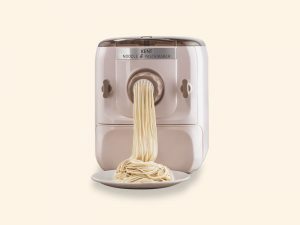 The noodle and pasta maker from KENT helps in making healthy pasta by customizing the ingredients. 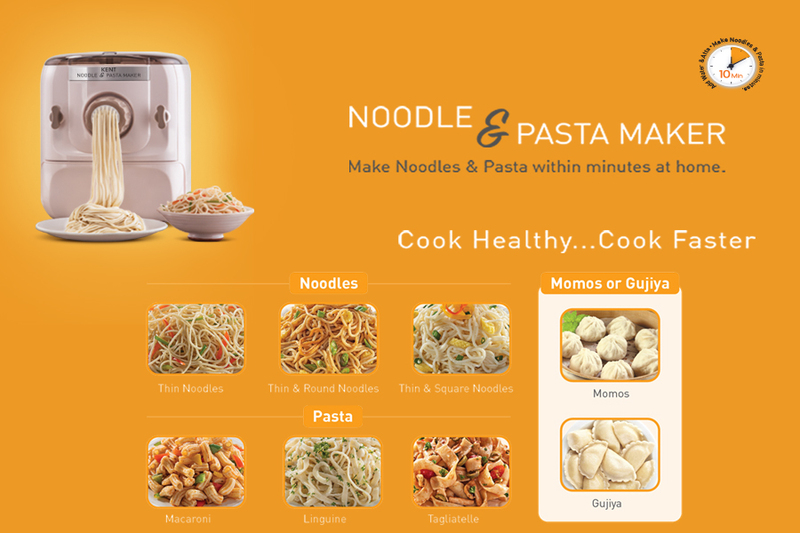 You can get freshly prepared pasta without any preservatives with the help of the innovative noodle and pasta maker. The seven different shaping dies enable you to prepare different shapes of pasta and noodles with ease. It’s time to skip readymade pasta and switch to healthy and tasty homemade noodles and pasta.